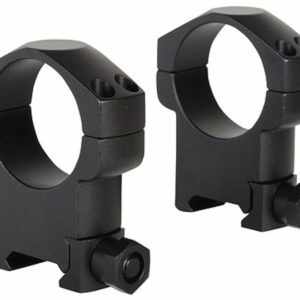 This pair of aluminum 1-Inch Riflescope Rings from Vortex fits riflescopes with a 1.0″ main-tube. 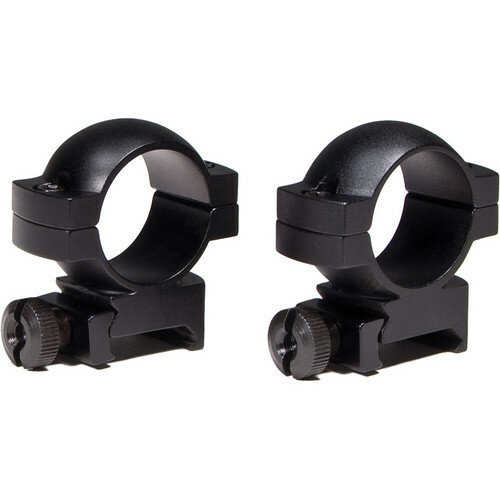 These rings position the centerline of the scope 0.87″ / 22mm above the top of the mounting rail. They are manufactured from 6061-T6 aluminum, and they’re compatible with most Weaver-style mounting systems. 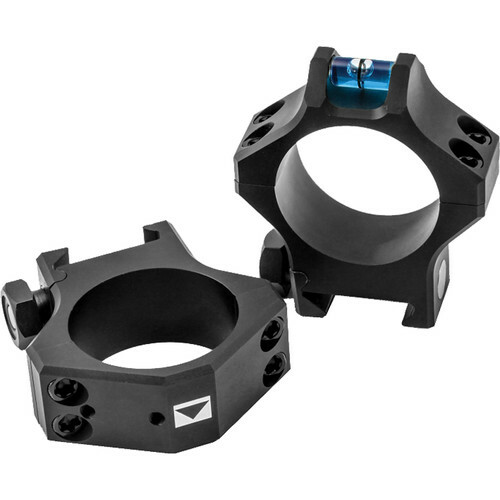 This pair of aluminum 1-Inch Riflescope Rings from Vortex fits riflescopes with a 1.0″ main-tube. 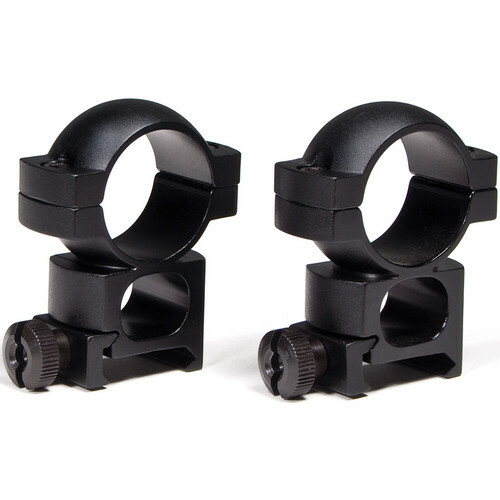 These rings position the centerline of the scope 1.22″ / 31mm above the top of the mounting rail. They are manufactured from 6061-T6 aluminum, and they’re compatible with most Weaver-style mounting systems. Leupold keeps their successful tradition of delivering state-of-the-art sport optics alive with their persistent attention to detail, precision and quality. This American optics company, located in Portland, Oregon, pioneered the process of nitrogen purging to waterproof riflescopes in 1947. Since then and to this day, Leupold continues to develop new technologies, and use advanced materials to push the envelope to produce some of the world’s finest sport optics. Leupold’s Mark 4 Mounting Rings are an excellent mounting option for riflescopes with a 1.0″ main tube. These rings are durable, repeatable, and designed to fit most Picatinny or Weaver mounting rail systems. These rings are manufactured from aluminum, and feature torx head cap screws. Torx head screws feature a deep-engaging lobe design that inhibits stripping by ensuring proper driver alignment. These rings are a lighter weight alternative to the standard Mark 4 mounting rings that are made of steel. When you’re trying to keep the weight of your gear to a minimum, every ounce counts! 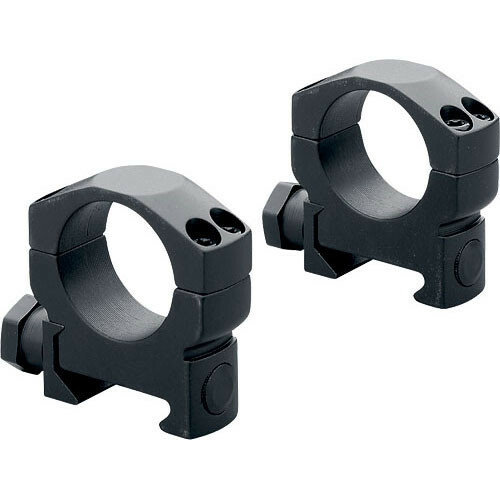 These medium height rings raise your scope 0.84″ over your mounting rail. 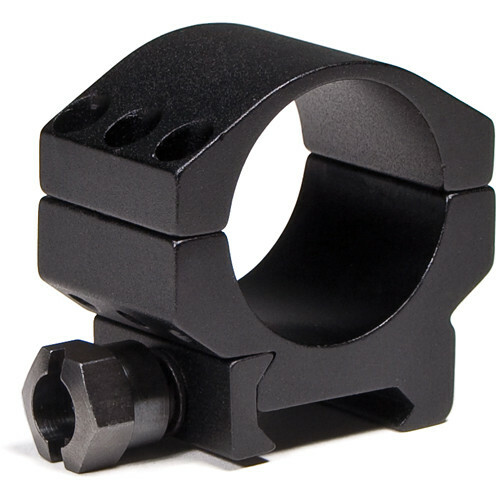 These Leupold Mark 4 Mounting Rings are an excellent mounting option for any riflescope with a 30mm main tube. 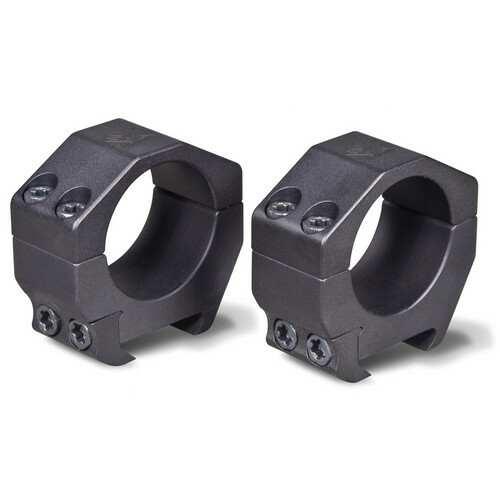 These rings are durable, repeatable, and designed to fit Mil-Std 1913 Picatinny rail systems. These rings are manufactured from steel, with torx head drive screws. Torx head screws feature a deep-engaging lobe design that inhibits stripping by ensuring proper driver alignment. These super-high rings raise your scope 1.40″ over your mounting rail. Kept in pairs throughout the entire manufacturing process and held to tolerances of just 0.0005″ using a CNC mill, this set of two 30mm Precision Matched Rings from Vortex provides an almost unmatched quality and consistency that ensures appropriate mounting of your riflescope. This version permits mounting on Picatinny rails and will position the center of the scope tube 0.87″ above the base. It also uses exceptional Grade 8 fasteners for securing the scope and each ring is vibratory tumbled and hand bead blasted. For durability, the rings are constructed form 7075-T6 aluminum and feature a Type III hard anodized coating. And, to top it all off, the rings are serialized and made in the USA. Kept in pairs throughout the entire manufacturing process and held to tolerances of just 0.0005″ using a CNC mill, this set of two 35mm Precision Matched Rings from Vortex provides an almost unmatched quality and consistency that ensures appropriate mounting of your riflescope. This version permits mounting on Picatinny rails and will position the center of the scope tube 0.95″ above the base. It also uses exceptional Grade 8 fasteners for securing the scope and each ring is vibratory tumbled and hand bead blasted. For durability, the rings are constructed form 7075-T6 aluminum and feature a Type III hard anodized coating. And, to top it all off, the rings are serialized and made in the USA. 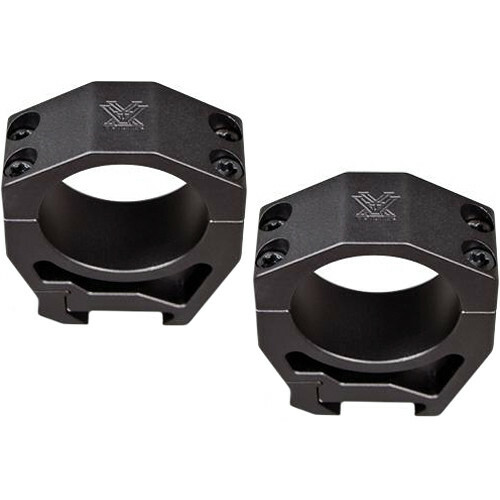 These Tactical 30mm Riflescope Rings from Vortex are designed for mounting riflescopes with a 30mm main-tube to a Weaver or Picatinny mounting system. This single ring positions the center of the scope 0.83″/21mm above the mount.